Of “choletaise” origin, I arrived at the end of September to Niort for a long-term internship at the tourist office. 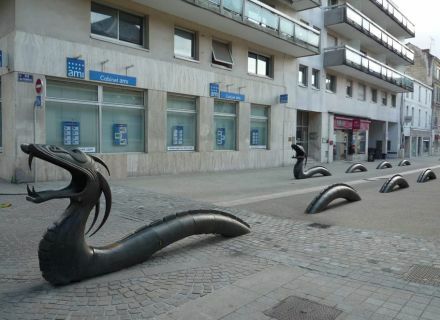 I discovered little by little the city, its peculiarities and naturally its bronze dragons. Why dragons in Niort ? I had never asked myself really the question. 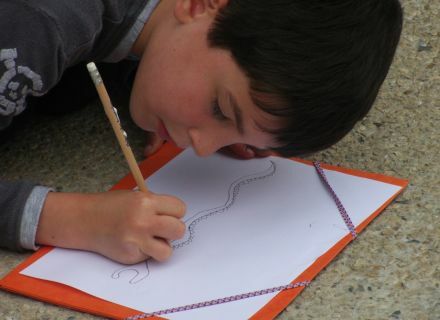 Until we suggest me writing an article for the blog concerning the legend of the dragon of Niort. 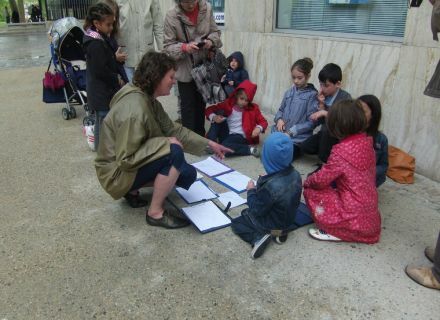 Appointment is taken along Sèvre in front of halls on Wednesday, April 23rd at 3 pm, with Agnès Brillatz, guides speaker. 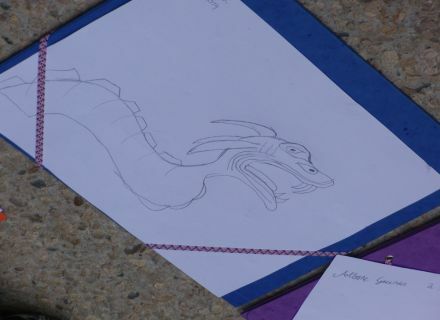 The visit is entitled "The legend of the dragon told the children". In spite of the weather which does not work in our favor, the small adventurers are present and provided with their umbrellas, ready to discover the slightest secrets of this legend. From the Agnès's first words, we put ourselves in Sherlock Homes's skin. 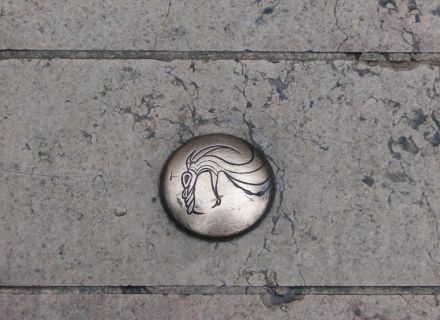 We cross the city by following the "small heads" of dragon hidden on the ground. After almost one visiting hour, comes the time to group together and to sit down in front of dragons to discover one of the versions of the legend of the dragon. A monster living in a cave in the swamp near the door of “Saint-Jean” terrorizes “niortais” people. Agnès takes out then of her bag a wooden dragon for most great pleasure of the children. Jacob Allonneau, knight, decides then to kill this monster. He goes in the cave of the monster and gives him a thrust of a sword. Believer dead, he removes his helmet and approach of the animal which bites him. The knight dies then, poisoned by this last surge of the dragon. The children are then requested to criticize in the legend. Curious ? You want to know more about it ? Here are the information. 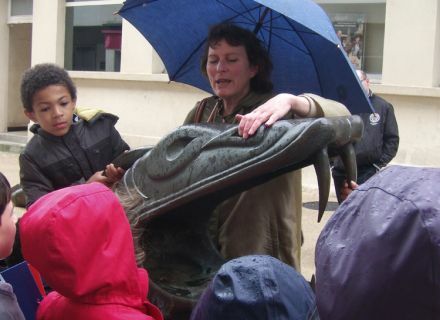 Agnès Brillatz organizes visits on the legend of the dragon for the children all year long on reservation. The adults are naturally invited to participate. Visits are proposed to them in parallel on the same theme. The next visit will be on Tuesday, April 29th at 10 am and on Sunday, April 4th at 15 pm. Do not hesitate to consult Agnès Brillatz's web site, the list of the visits is regularly updated there.